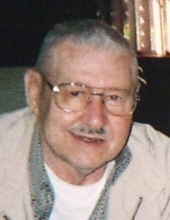 On Saturday, April 13, 2019, William Dale "Bill" Phillips, Jr., passed away at the age of 84. William was born on July 12, 1934, in Pettis County, MO. William was retired from the United States Navy, with 21 years of service as an Aviation Storekeeper. He loved to watch all kinds of sports and he was the Best Bowling Coach. William is survived by his wife of 59 years of marriage, Kuniko; his son, Charles (wife, Vivien) and sister Beverly (husband, Richard Morris). A funeral service will be held Saturday, April 20, 2019, at 1:00 PM, at Faith Chapel Funeral Home South. Visitation will be from 12:00 PM to 4:00 PM. Men’s Chapter Leader, Ridgely Goldborough, will be officiating. Inurnment will be Wednesday, April 24, at Barrancas National Cemetery, NAS Pensacola, FL. FAITH CHAPEL FUNERAL HOME SOUTH, 100 Beverly Parkway, Pensacola, has been entrusted with arrangements. You may express condolences online at www.fcfhs.com. To send flowers or a remembrance gift to the family of William Bill Phillips, please visit our Tribute Store. "Email Address" would like to share the life celebration of William Bill Phillips. Click on the "link" to go to share a favorite memory or leave a condolence message for the family.